This appears to be one of the highest donations the company has ever made towards electoral funding. Tata group companies, including TCS, have in the past given money to electoral trusts. 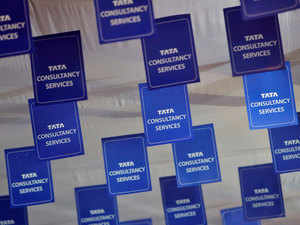 BENGALURU: Tata Consultancy Services (TCS) said it gave Rs 220 crore ($31.2 million) to an electoral trust in the fourth quarter ended March, which it accounted under other expenses in its profit and loss account. This appears to be one of the highest donations the company has ever made towards electoral funding. It is not clear which parties benefited from the contribution. Tata group companies, including TCS, have in the past given money to electoral trusts. TCS previously gave money to the Progressive Electoral Trust, which was set up by Tata Trusts in 2013. The Trust has funded multiple political parties and between April 1, 2013, and March 31, 2016, it had funded Congress the most, followed by Biju Janata Dal. During that period, TCS had contributed only Rs 1.5 crore. India has a number of electoral trusts, which are intermediaries between corporates and political parties. The biggest of these is the Prudent Electoral Trust, where the biggest contributors are the Bharti Group and DLF. In 2017-18, Prudent gave almost all the money it generated – Rs 144 crore of Rs 169 crore – to the BJP. As per the latest annual report filed by the Tatas’ Progressive Electoral Trust with the Election Commission of India, it made no contribution to any political party during fiscal 2017-18 and has a deficit of Rs 54,844.